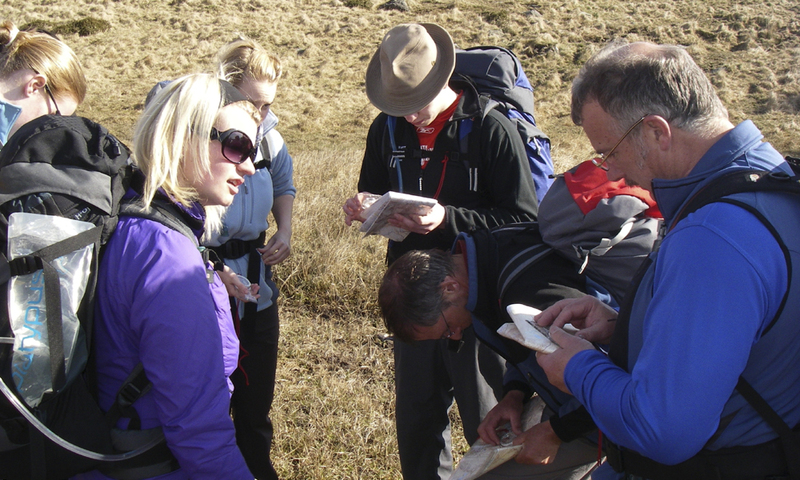 Having completed your training, you’ve already got a number of days out in the hills and mountains under your belt, and you’ve developed a good understanding of navigation skills. All that’s needed now is to put in some practice to reinforce these skills, as well as experimenting with a variety of different strategies. 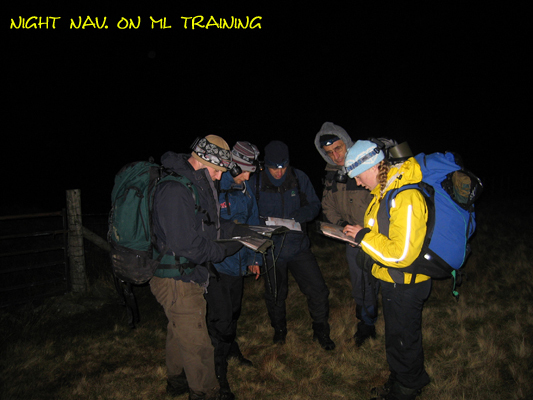 You should be well on your way to completing your 40 quality mountain days for your logbook (but hopefully aiming for 60+, which will not only show your commitment, but more importantly make you a more competent leader in the hills and mountains). These ideas are not suggested as the only way to navigate, as there are loads of right ways to get where you are going. However, it’s good to remember that you can make things harder for yourself by over complicating navigation; my main tip is to keep things simple by using familiar strategies. Keep an eye on the time. Check your route carefully and measure the distance/time to your intended stop (either end of leg or point of change of direction). Build a three-dimensional picture. Contours are the most reliable feature; other features shown on the map can sometimes be misleading. Field boundaries can alter, paths can change and streams can dry up, go subterranean or alter course. 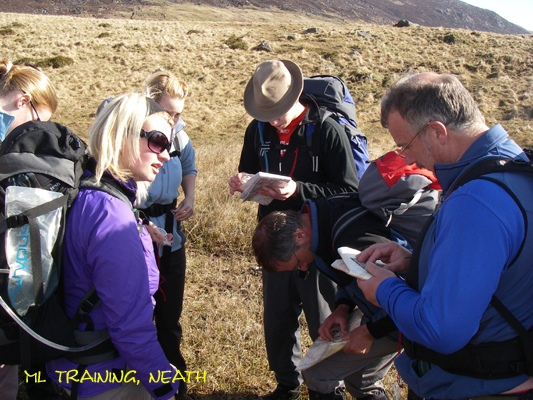 Contours are always going to be there; contour interpretation and having the ability to build a three dimensional picture from the map are the most important aspects of map reading skills. Use tick-off features. Linear features such as walls, fences, streams, valleys and ridges are generally quite easy to follow, but sometimes less so – this is where tick-off features along the way and a collecting/overshoot at the end of the leg are often a big help. There sometimes seems to be an over-reliance on the use of compasses in navigation. 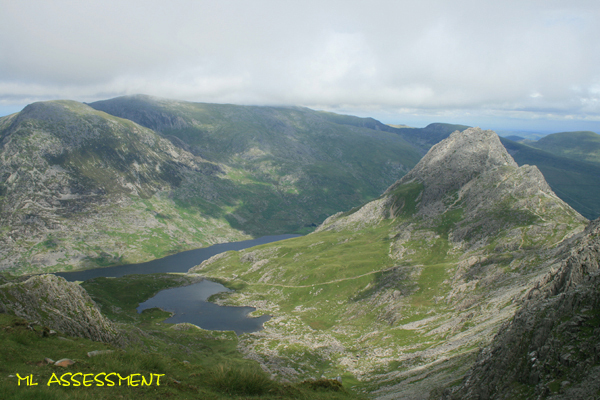 However, the compass is an invaluable tool in complicated terrain and in poor visibility. The use of the compass in conjunction with navigational strategies can certainly save a lot of heartache. Aiming off. Great for accurately finding a feature over a long distance, as walking on a bearing directly to a feature can sometimes result in drifting off and passing it without realising. Attack point. Use on its own, or in conjunction with aiming off. Use a well-defined feature to help locate the small or difficult-to-see feature you are actually aiming for. Boxing. Negotiate an obstacle (e.g. rocky outcrop or boggy ground) by using the compass and pacing/timing to make a series of 90° turns, until you have passed the obstacle and are back on your original bearing. Aspect of slope. Can be a get out-of-jail-free card in poor visibility, helping you to identify the slope you are descending. Good for avoiding going down a wrong slope that could not only misplace you, but could also have some serious obstacles that you don’t want to encounter. 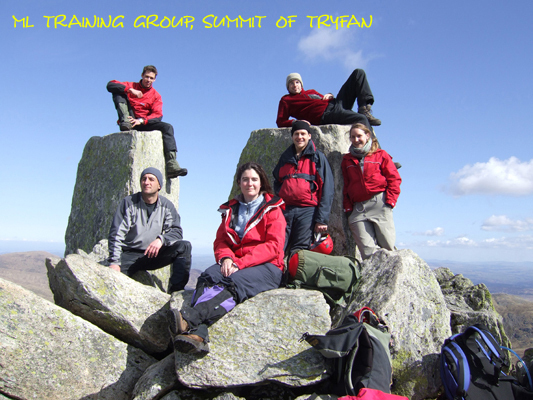 When out in the hills, knocking off those quality days, it is tempting to get to the top just enjoying the walk or scramble, forgetting to revisit navigation practice (especially if your mates are not involved or particularly interested in award schemes!). What I’ve sometimes done in these situations is to give myself some navigation legs at the beginning and towards the end of my day, and locate my position at various points along the way. This last bit I found really valuable when I had been walking for some time without using the map. Walk without using your map for a K or so, then locate your position. Draw a finger trail of where you have walked for that K.
Make a mental note of well defined features as you pass them; if the weather closes in this can help in locating your position. If uncertain where you are you can retrace your steps to that known point.